Susana M. Vidal has devoted herself to researching Frida Kahlo's influence on popular culture, art, fashion and the feminist movement. Fruit of this work is her Frida Kahlo: Fashion as the Art of Being, published in 2016. Since its publication, the author has been asked by important institutions to give lectures on the singular Mexican artist, presenting her as a vital and dynamic example. 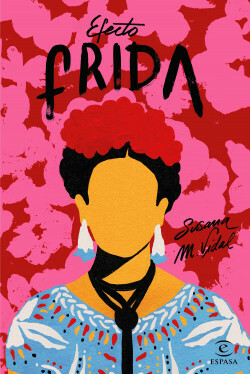 In this book, she discusses how Frida Kahlo has become a symbol of women's empowerment, why she is so inspiring to artists (from Madonna to Jean Paul Gaultier), and how she demonstrated that feminity and feminism are not only compatible, but that an alliance between them is absolutely necessary to achieve equality.